I had been living in Jack Kerouac’s house in Florida less than a week when my daughter began asking about him. Nico was two then, almost three, and just beginning to really talk and, thus from our perspective, to understand the world. She was a little confused about where I had gone and why. Marta and I told her I was living in the house of writer named Jack Kerouac because I was a writer, too, and I needed time to work on my book. She’d accepted that explanation with a nod, but then a week later, when we were chatting on FaceTime, she asked where Jack Kerouac was. I told her he’d gone out. Soon every time we talked, she’d ask about him. “Are you at Jack Kerouac’s house?” she asked when she called in the mornings. “Yes,” I’d say, getting out of bed, carrying my laptop, and her image, with me toward Jack’s kitchen to make coffee. Outside squirrels scurried up a giant live oak tree heavy with Spanish moss. I imagined the pecan trees outside our house in Texas, and realized they must be almost bare by now. “Are you at Jack Kerouac’s house?” she asked again at night, as she put on her pajamas, and I finished washing the dishes from another meal I’d cooked for myself, the frogs outside the kitchen window croaking like an angry mob. Eventually, I started hauling the laptop over to a poster of Jack by the stacked washer and dryer, a handsome photo of him with tussled locks and an intense stare, taken sometime around 1957, when On the Road was published and he and his mom had moved in to the back apartment of this two-bedroom bungalow in Orlando. I held the screen up, so that she saw Jack Kerouac instead of me. “Hello, Nico,” I said, lowering my voice, more at the pitch and general jolliness of a Santa than an itinerant alcoholic writer—though she couldn’t know the difference. “Hi, Jack Kerouac,” she said. And for a while we conversed like that: I, the disembodied voice of a now-dead writer in whose house I was living; she, a little girl getting to know someone new. We talked about the Florida weather and what it was like back in Texas. We talked about the Little Mermaid and all the lakes in the neighborhood where I lived now. Then we hung up, and the next day we did it all over again. She asked me where I was, I explained, she asked who Jack Kerouac is, and I became him. Some writers go to the Jack Kerouac House because they really love Jack Kerouac. They claim a spiritual connection to him—or to this house in Orlando where he lived for a little under a year. They are sure they can feel his presence in the back bedroom, where he slept, or at his desk (really a replica of his desk)—and that it helps them to writer better, longer, more. To them, he is like a creative father, a kind ghost. I had applied to live in Jack Kerouac’s house not because I loved Jack Kerouac, but because a friend of mine, a poet, had lived there before, and she told me it was wonderful. She loved the pale blue clapboard house with its open front porch and tin roof, and once I got there, I did too. I also loved the small community of writers who threw me a potluck welcome during my first week in town. I loved it when they left, too, and I was alone again to write. When we had first learned Marta was pregnant with Nico, we celebrated, but privately I assumed my career as a writer had come to an end, before it even began. 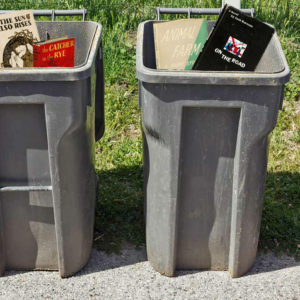 I had one abandoned book manuscript at the time, and I’d just returned from a living for a year in Colombia, where I wrote very little—unable to find a place to start. Then Nico was born, and I stopped writing completely. I read books by new mothers and blogs on making babies sleep. I started a PhD. I watched a lot of Murder She Wrote. At some point, though, things changed. Nico would wake us up at 2 or 4 in the morning, and instead of going back to sleep, I stayed awake and, alone at my desk, found my way back into writing. I wrote essays about murder ballads and dead opossums, about mothers and murderers and volcanos I had once climbed. Sometimes I wrote about becoming a mother and how that had changed everything, but also hadn’t made a difference at all. Within a couple years, I had what felt like a book, but I knew I needed some time to figure it out. Then that friend wrote me about Jack’s house, and Marta encouraged me to apply. She said her mom would come, that she’d be fine for three months alone with Nico. She said she loved me, and so those were all the reasons that I applied to live in Jack Kerouac’s house. The reason I eventually went, though, was different. I got pregnant three months before I was set to leave. We had been hoping to have a second child, one that I would carry, so we celebrated when it happened after only the second try. But then a month before my flight to Florida, we went in for an ultrasound and they told us that the heartbeat had stopped, that the embryo—the almost-fetus we had named Jeremiah—was no longer living. After the miscarriage, the idea of being alone in a house far away from everyone I loved was the only thing I could clearly say that I wanted. I went to Jack Kerouac’s house, then, to finish writing a book, but also because it was the only solution I saw to the problem of loss. Jack also had a daughter when he was living in Orlando, though few people know about her. She was about five, later six, at the time, and her name was Janet, but she went by Jan.
Jan’s mother, Joan, was the inspiration for the woman Jack’s character Sal Paradise meets and falls in love with near the end of On the Road. In the scene, Sal is in New York again, his hero’s quest circling back to its beginning, and one day he calls up to the window of a New York loft where he thinks his friends are having a party and a pretty girl leans her head out and asks who he is. They married a month later and separated eight months after that, but in those intervening months, Jack wrote much of what would eventually become On the Road, and near the end of their time together, Joan got pregnant. When her father left that day, she kept the cork to the liquor bottle as a souvenir. Marta’s call woke me up one morning, and when I answered, Nico was on the screen. “Are you in Jack Kerouac’s house?” she asked. “Hello, Jack Kerouac,” she said, and I said, “Hello Nico,” in a low voice, as if Jack were in the bed with me somewhere, hidden out of sight. She was eating yogurt at the kitchen table, and she said she was a polar bear. Marta and her mom had made Nico polar bear ears and gloves and when she put them on she wasn’t Nico anymore, she said. I took my phone with me to the kitchen to make coffee and then I read her a book about favorite animals that she held up to the screen. She said the elephant was her favorite because it’s also Elmo’s favorite. I said the zebra was my favorite, but then I changed my mind and chose the polar bear instead. I watched her put on her boots as I finished my coffee, and waved goodbye before the screen went black. Alone in Jack’s house again, I cleaned up my wine glass and bottle from the night before and did the dishes in the morning’s quiet. It was winter in Florida, which meant that occasionally it got cold enough to use the heat, and that day it was on, roaring awake every once and awhile from the front closet by the dining room table, where sometimes I wrote, but where mostly I ate, staring out the front window at cars driving by or, occasionally, a tourist who would stop to take a picture beside Jack’s plaque in the front yard. When Jack lived here, he sometimes slept in a sleeping bag in the backyard, picked fruit from the citrus trees and pet the neighborhood cats if they wandered by. He was working on a new novel called Memory Babe at the time, and then a play, and then parts of what would eventually become Dharma Bums. He read Don Quixote and, once, saw Sputnik II’s rockets in the Florida night sky. It was hard not to feel his legacy in the house. His books and biographies lined the shelves in the living room and photos of him looked down at me everywhere I went: in the bedroom where I slept, beside the laundry room when I washed my clothes, near the kitchen table every time I ate at meal. The furniture was midcentury modern, chosen to represent what he might have owned in 1957, when he lived there, and one tattered armchair in the back was actually his—its headrest worn and stained from years of use. Absence followed me everywhere. Recently, Marta had told me that Nico seemed to be pining for the father she didn’t have. It started after Marta and her mom took Nico to see a production of the Little Mermaid, and rather than gushing about Ariel, Nico went on and on about Ariel’s father, King Triton. How he didn’t wear a shirt. How he had a wand. How he was the Little Mermaid’s father. And then, of course, there was her fascination with Jack Kerouac. Marta took Nico to get take-out Thai one night, and they ran into some neighbors. The couple asked where I was, and Nico beamed proudly, “She’s at Jack Kerouac’s house,” she said, as if, maybe, Jack were part of our family. As if, maybe, he was the father she thought she should have. We had knowns fathers would become an issue eventually. We were, after all, two women raising a child in West Texas, where Father-Daughter dances happened in spring and “Doughnuts with Daddy” take place at every daycare in the fall. But we had hoped to have the daddy conversation later, once Nico was old enough to understand the difference between yesterday and tomorrow or that an image of a man was not the same as an actual person in the flesh. But, also, once I was back home and could help Marta explain what it means to not have a father, but have two moms instead. The second, and last, time Jan saw her father was when she was pregnant herself. She was fifteen and life had not been easy. She’d dropped out of school, been sent to the Bronx Youth House and was about to be locked away in the Girls’ Reformatory until she was 21, when she fled. But she had a steady boyfriend now, and they were going to go on the road themselves. Before she left, she wanted to find her father, which wasn’t easy. His agent wouldn’t give her any information, and Jack had purposefully kept his address a secret. Jan found him by driving out to Lowell, Massachusetts, where most of the Kerouac clan lived, looking up a relative in the phone book, and then following that relative to her father’s house. Jack Kerouac was sitting in a rocking chair watching the Beverly Hillbillies and drinking whiskey when she arrived. He was surprised, I’m sure, but he soon regained composure. He asked if Jan was getting his checks. She said she was, and then he talked to her boyfriend John, as if he might avoid talking to her. He explained the paintings on the wall, the one of underwear hanging out to dry by his friend Stanley Twardowicz, the one of the Pope that Jack had painted himself, and the one of his baby brother Gerard, who had died when he was nine. Jan thought she heard Jack’s voice break when he mentioned his brother, but he covered it with a swig from his bottle. Eventually, Jan sat beside her father and held her hand up to his. She told him her mom had said they had the same hands, and she wanted to see if that was true. It was. Jan’s first book Baby Driver opens soon after that moment. She and John are in Yelapa, Mexico, and she’s seven months pregnant. John is out fishing and she’s working on a novel they’re writing together. She goes for the mail and finds a letter from her mom with the check from Jack and, taking it out, she lists the things she will buy with it: rice, powdered milk, a light bulb. That night, Jan fries the fish John caught in the ocean and he squeezes the limes. They fall asleep. In the morning, she wakes with cramps that soon become contractions, and she realizes she’s in labor. They call a midwife, Jan labors most of the day, and just before sunset the baby girl is born. Jan looks at her baby girl and sees the Kerouac in her, alongside the Portuguese features of the father. She strokes the lanugo covering her head and stares at her tiny toes. The midwife had left her in a roasting pan, the only container in the house, and that night boys from the village arrive with a small coffin. Soon after that, Jan goes on the road. She travels to California, then Seattle and Santa Fe. Later she returns to Mexico, and then to Colombia, Peru, and, eventually, Tangiers. She visits Allen Ginsberg in Colorado and her mom in Oregon. In California, she plays a bit role in a movie about her father’s life with Neal Cassady and his wife Carolyn. She writes about all this in her books, which both do and don’t feel like memoirs of absence. In interviews, though, Jan refuses to resent Jack Kerouac. He had books to write, she says, and she understands that. In his journal, a couple years after the paternity suit, Jack Kerouac wrote, “women and their predilection for giving birth so as not to bear the stigma of barrenness are skeletons inventing skeletons.” A few years later, he admonished Gregory Corso for having a baby, asking him why he would bring something in to this world only for it to die. I read these things when I was living in his house in Orlando, and I still felt sorry for him sometimes. In an TV interview near the end of his life, when he was bloated, dispirited, and constantly drinking, he says, “I believe in order, tenderness, and piety,” and it so clear that more than believe, he still hopes to find that in his life. And, watching him on the screen, we know he never will. 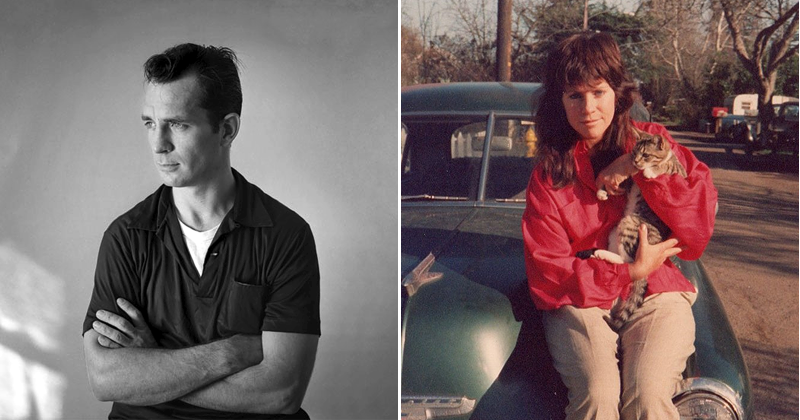 Jack Kerouac died at the age of 47 in St. Petersburg, Florida, where he was living with his mom and his third wife, Stella, near broke and almost completely forgotten. In many of his letters, he is angry at his change in luck and all those he felt had wronged him. He’s begun selling off his letters from Ginsberg, Corso, Burroughs and Cassady, and is recovering from a recent beating at a local pub. One of his last letters before he dies is to his agent, asking about publishers for his latest manuscript and any new royalties payments that might have come in. “For God’s sake man, I’ve got to live too, that is pay my rent,” he writes in closing. Jan died a little more than 25 years later, in Albuquerque, New Mexico. She was 44. Her kidneys were failing from years of drinking. She had been fighting Stella’s relatives for control of her father’s estate, which she said she wanted to preserve. She had hopes of starting a house in Jack’s name somewhere. I think, really, though, she hoped someone would finally recognize her as his daughter, even if he had refused to do so when he was still alive. In 1995, two years before Jan died, the writer Daniel Pinchbeck ran a story in the New York Times about the children of Beat Generation writers. His mother, the writer Joyce Johnson, had been Jack Kerouac’s lover. The article featured a sad and tired photo of Jan alongside her story and stories of other children of the Beats, including some who grew up with, as Simon Carr, the son of Lucien Carr said, “a lot of wild drinking, a lot of people disappearing and then coming back,” and others, like Jan, who grew up with stories of someone who was never there. After the article ran, the musician C. W. Vrtacek wrote into the Times. My last month in Jack Kerouac’s house, I booked a flight home to Texas, arriving just in time for a Tuesday appointment at the fertility clinic. Marta was out of town at a conference, so I went by myself. The doctor told me, unconvincingly, that he was sorry to hear about the miscarriage, and then he noted that my mucus was good. The nurse told me the sperm count was good, too, and after that preamble, they inseminated me, and I lay for ten minutes on the gurney in the examination room, hoping that it would take. The lights were dimmed and I sang to the egg and the sperm, who I had named Franklin, imagining their coupling as a way of trying to will it. Afterward, I drove to Nico’s daycare and watched as she ran across the playground toward me, yelling “Mommy!” at a high pitch. That night, as we were reading a book about a girl with two moms, she told me that she wants to be a writer when she grows up. I told her she still had time to change her mind. The baby was born that following October, and two months later, I learned that my book had won a prize and would be published the following year. We named the baby Frida, after Frida Kahlo. My book is called Mine. The other day I read the book to Nico while Frida rolled around on the floor besides us, and then I started singing the song, “Hit the Road Jack,” and Nico liked it so much, I showed her Ray Charles on YouTube. She asked who Ray Charles was, and I explained, though for a moment, I worried that he would become a new obsession, her next daddy crush. But she’s older now, and we’ve explained our family to her, and she gets it, for the most part. For a while after I got back from Orlando, all she wanted to do was play the Little Mermaid, and, when we played then, she proclaimed herself the Little Mermaid and Marta and I had to take turns as Ursula or King Triton, the evil witch or the father. But one day at breakfast, she changed her mind. She would be King Triton this time. “I’m the father,” she said. Sarah Viren’s essay collection Mine is available now. Sarah Viren was raised in Florida and now lives in Arizona with her wife and two daughters. She is the author of the essay collection Mine, winner of the River Teeth Literary Nonfiction Book Prize, and editor, with Lina María Ferreira Cabeza-Vanegas, of the forthcoming anthology Essaying the Americas. Her essays and poetry have appeared in Guernica, the Oxford American, AGNI, the Iowa Review, and other journals and magazines. She teaches at Arizona State University.